The Hair Hole: REVIEW: Queensryche - "Redemption" vs. "Cold"
I hold Queensryche in very high regard. Wait. Let me rephrase. I hold a certain era of Queensryche in very high regard. Their debut, the 1983 Queensryche EP, kicks off what I consider a flawless string of progressive metal masterworks culminating with 1994's Promised Land. The creative arc displayed by these six albums is staggering. This was a band that had it all. Amazing musicians, phenomenal songwriters, and one of the greatest voices on the planet in Geoff Tate. In his prime, Tate was simply untouchable. Forget Dickinson. Forget Halford. Tate killed them both. Over the course of three albums (The Warning, Rage For Order, Operation: Mindcrime) Queensryche created the blueprint for modern progressive metal and inspired a raft of bands from Fates Warning to Crimson Glory to Dream Theater in the process. OK, there was also Siam, Lethal, and Hittman as well. This was a cutting edge sound that mixed intelligent lyrics with classically inspired arrangements in a distinctly heavy metal framework. It was cinematic and futuristic and it beget an entire genre of music. Of note, Operation: Mindcrime is still considered one of the greatest concept albums ever recorded and is frequently listed alongside The Who's Tommy and Pink Floyd's The Wall. That's how good it is. Some fans claim the creative decay began to take root by 1990's Empire and dismiss Promised Land altogether. Not this fan. In my opinion, Promised Land is the last true epic the band produced. It was dark, introspective, experimental, heavy. A complete 180 from the commercially oriented Empire opus. Promised Land would have been the perfect farewell album. I've always viewed it as the end of a journey. This could have been a glorious summation to an amazing career. But as we know, it wasn't. Queensryche would go on to release six more studio albums. Some were good (Hear In The Now Frontier, Tribe) some were decent (Operation: Mindcrime 2, American Soldier) and others were horrible (Q2K, Dedicated To Chaos). None were classics. The biggest issue plaguing many of these later era records (besides the absence of founding guitarist Chris Degarmo) was the shift from epic song structures to a more stripped down sound. Following 2003's Tribe, many of the hallmarks of the Queensryche sound had been abandoned in favor of a more simplistic approach both production-wise as well as vocally. The fan base was split between those pining for the glory days and those willing to accept the new Queensryche as a band adhering to the very definition of progressive music. It's an extremely thin line a band must tread in order to balance creative growth with a core sound. If you lean too far away from that core sound you risk losing the fan base you've amassed over the breadth of your career. Yet, if you remain stuck in one particular muse you risk stagnation. The last ten years saw Queensryche leaning further and further away from their core. As a progressive band they were expected to evolve...but they were also expected to retain those elements that made them great in the first place. I continued to support the band during this uncertain period because there was always something to enjoy on each release. You just had to be patient. These later albums were not immediate. Often, it would take me dozens of spins to connect with certain tracks. Q2K comes to mind. I spun that album a hundred times. Most of it still does nothing for me. I wanted something to move me like the classics did. I was willing to put the effort in as a listener to find those hidden gems. The band deserved it. However, it was becoming harder and harder to defend them. When Dedicated To Chaos arrived, I knew the end had finally come. Apparently, so did 4/5 of the band. Last year, the band (Wilton, Rockenfield, Jackson, Lundgren) fired Geoff Tate and enlisted ex-Crimson Glory belter Todd LaTorre to handle vocals. Tate countered with a decision to continue with his own version of the 'Ryche. The drama that continues to unfold is better suited to a reality show than this blog. There's no need to rehash it here. Bottom line: the world has two Queensryches until November 2013 when the courts decide who's entitled to the name. Now, with the existence of two Queensryches, we have two debut singles from two versions of the upcoming "13th Studio Album." Which record ultimately keeps the 'Ryche moniker remains to be seen, but for now, let's assume both bands are Queensryche and both songs are Queensryche songs. The title says it all. The first thing I notice on this track is the stellar production courtesy of James Barton. It's dynamic. Aggressive. Vital. Classic, yet modern. This is the type of progressive arrangement Queensryche hasn't attempted in a long time. It sounds like an updated take on Mindcrime. No complaints here. La Torre recalls classic Tate but brings his own distinct rasp to the fore as well. He's grittier. Nastier. There's just a lot of passion in these vocals. That's something we haven't heard on a 'Ryche release in years. Overall, this is full of ideas, great performances, and a killer vocal. This sounds like Queensryche and I can't wait to dive into the whole album. This isn't a bad song. It also isn't a Queensryche song. Production-wise, it pales in comparison to Redemption. It's muddier. Grungier. It's definitely in line with what Tate was doing on Dedicated To Chaos and his last solo album Kings And Thieves albeit better than anything on those releases. Don't get me wrong. It's got a strong hook and perhaps with a better vocal and production it might have been a hit for some younger, hungrier act. That's the central problem. There's no urgency. No passion. Tate sounds bored. He clearly isn't enamored with this genre anymore. Still, I find the song memorable. Unfortunately, it bares little resemblance to classic 'Ryche which is my primary reason for dismissing it. This really should have been released as a Tate solo track. Good, but destined to be forgotten. Geoff Tate's Queensryche releases their album, Frequency Unknown, on April 23rd. Todd La Torre's version of the band releases their as yet unnamed album on June 11th. It's a shame how, if you took the best elements out of each song and combined them in the right way, you might end up with the best work Queensryche has put out in decades. Queensryche was no more about gritty vocals than they were about the grunge sound. Even more amazing is, if you took the best of these two songs and combined it, then added the input of Chris DeGarmo ... wow. Too bad the folks that count don't seem to understand that. You couldn't have said it better by saying that Tate sounds bored. QR has sounded that way ever since Tribe. I think it should be noted as well that a lot of the reason Tribe was so good was the fact that Degarmo helped write so much of it. I've always thought that QR should use the formula for Tribe on future records. Bring in Degarmo to help write but since he doesn't like touring anymore (allegedly), let Parker tour and play his parts. 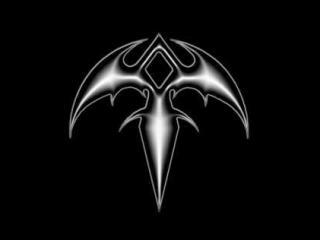 I like both songs but Todd La Torre gives back to the band what they had when they started Queensryche, energy and drive. I've seen Tate two summers ago and La Torre last December and my personal opinion is that La Torre surpised me and brought back the energy and vibe like Queensryche had back when they were on tour with their first five albums. I never thought anyone could pull off performing the vintage Queensryche songs and yet bring thier own flavor of vocals and performance to the band. While I'm not a lawyer or judge deciding who keeps the name Queensryche, I personally would rule that the remaining original members get to keep the name for reasons Tate was fired from his position and replaced. Just my opinion, I don't know who has naming rights or owns the rights to the songs which could have a major impact on who gets to keep the name. Todd has a great voice. No point in making him sound exact like Geoff. I've always been about the voice in following Queensryche but that being said, I need to see some class in the acts I listen to and so far Michael, Eddie, Scott & Parker have shown a lot more class than Geoff. I'll be seeing Tate and his crew in Sacramento and will make my decision of which band to follow there. And it won't be as much about the music as attitude and maturity. If I hear him bad mouthing his former band members and calling their fans names between songs I'll just walk out of the performance and give my allegiance to the other Queensryche. alter bridge for example is recording AB IV and meanwhile singer miles kennedy helped Slash building hies sound haha two great albums are the result... so throw away the question of who is the real Queensryche and enjoy the two albums for what they are each ... LOVE IT !!! Redemption doesn't strike me as QR at all, apart from the carbon-copy young-Tate vocals. And I'm not sure how anyone can think Dedicated to Chaos is worse than American Soldier, but whatever. I like DtC a lot actually. Cold doesn't sound anything like DtC or Geoff's latest solo stuff... or old QR, granted, but it is Geoff Tate. The voice is the key, and he's the Geoff that has evolved with QR. Take them for what they are, past and recently-parted past alike. QR has never been a 'metal' band and now I feel both versions are straining to produce the heaviest album they can conceive and it pisses me off. They're prog, not heavy metal. Always been that way. Probably never will be again, though. Hmmmm. I like em both after giving em a second listen. Will wait for both albums to come out I think, but by the sound of it they could be flipsides to each other, which is good in my eyes. Cold is simply not a Ryche song; guitars are not QR, drums neither, bass neither. It's a Tate song.